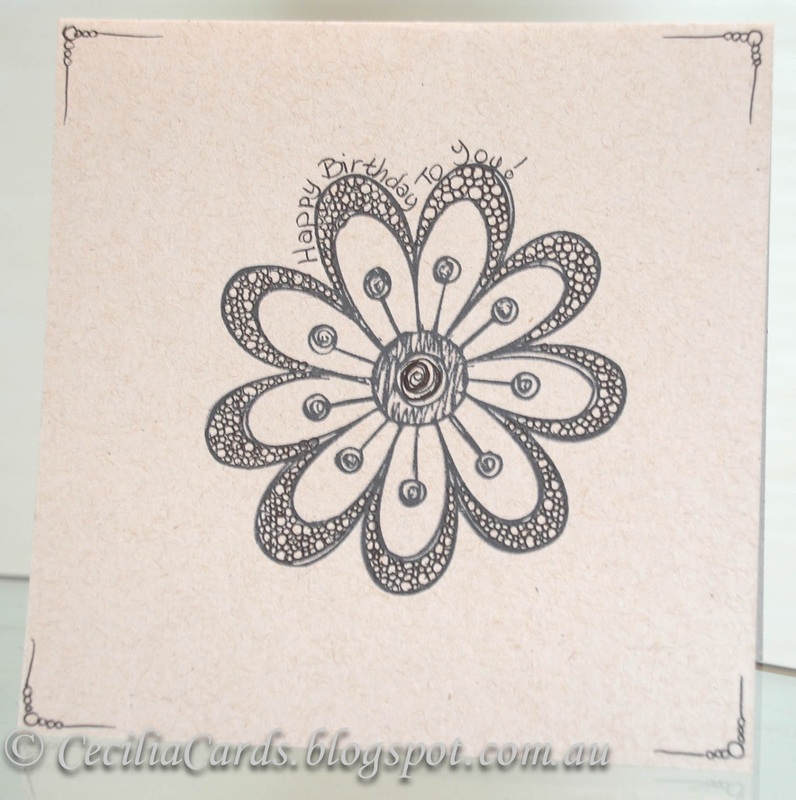 Time for some really Casual and Simple (CAS) cards using one layered stamping and inspirations from Zenspiration. I first came across the Sakura website last year and was enthralled with Joanne Fink. I'm not really into CAS cards, but have been giving them a go. 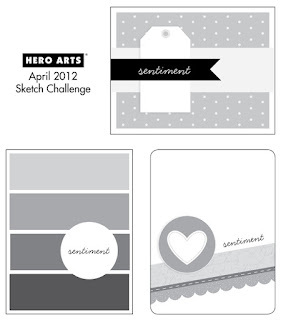 When I saw the challenge on Less is More - One Layer Card with doodling, the ideas were spinning in my head. 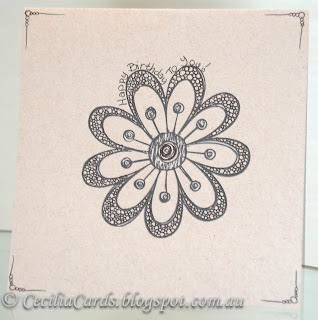 The first card I made was using HA Magical Flower (another new stamp I purchased from the Paperific Expo), this was the ideal stamp as it was large enough to fill up most of the card. It was hard to stop myself from adding any embellishments (What? No Washi tapes?) to the card, just keeping it CAS! I added Zenspired doodles to the outer petals of the flower and the centre. This stamp is just perfect for this challenge! I enjoyed it so much, I decided to do another card, this time using the HA April sketch. 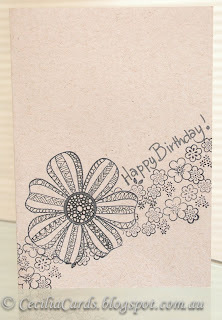 I combined two stamps and masked off each section after I stamped to create the card. The doodling on the flower was fun! I do not have the Sakura pens that Joanne uses, I used black gel and ink pens instead. Thank you for dropping by! I think it would be best if you linked your blog rather than the Flickr image as not everyone can comment on those pictures. Wonderful doodling, it looks as though you really enjoyed this challenge! In order to link two separate cards, you would need to pop them into separate posts.. I now realise why you linked one via Flickr! 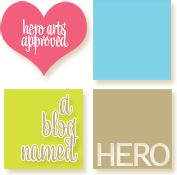 Chrissie, I didn't want to create two posts as they are both done in the same manner. That's why I linked the second one to Flickr. Very beautiful, I love zintagle for your flower. It's hard to believe that these are OLC's! What amazing dimension you've created with the Zenspired design! AWESOME! 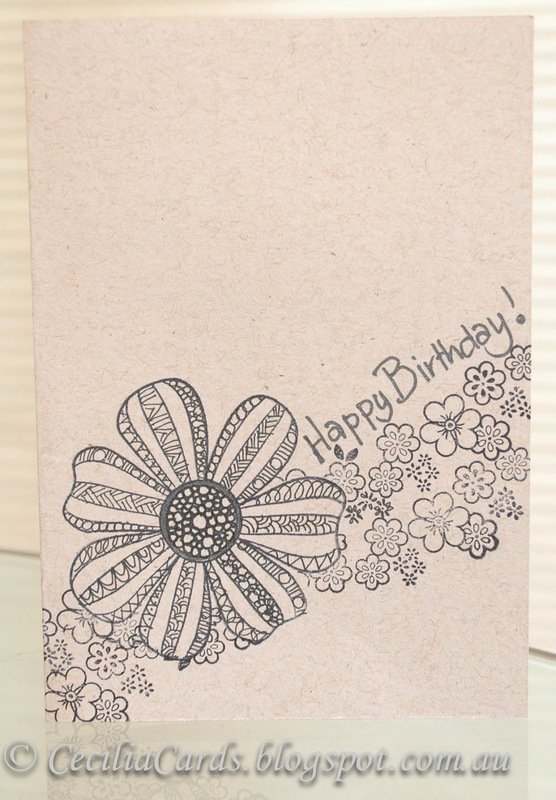 Fabulous cards...and your tangles look awesome!